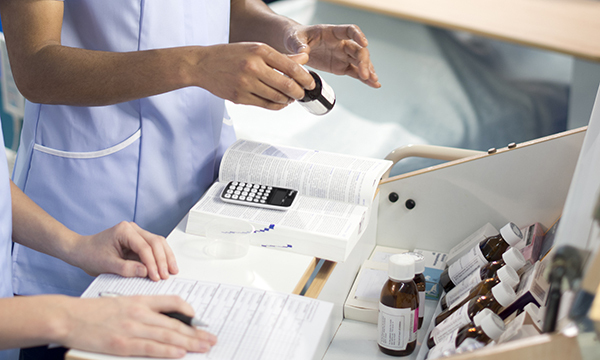 Nurses and doctors are 'terrified' that if they are open about medication mistakes they could be struck off their professional registers, the health and social care secretary has warned. Jeremy Hunt made the point as he launched a series of measures to reduce medication errors, including expanding electronic prescribing systems. But the RCN said mistakes could be reduced by improving nurse staffing levels. A study commissioned by the Department of Health and Social Care and released today found more than 200 million medication errors are made by the NHS every year. Mistakes, ranging from giving patients the wrong medication to delivering prescriptions late, may cause about 1,700 deaths annually in England and contribute to up to 22,000 each year, the new research found. According to the study, the errors could be costing the NHS £1.6 billion every year. Mr Hunt said health professionals want to be completely open and transparent about mistakes they have made but they are often left in fear of the consequences. 'In modern healthcare systems, we make that practically impossible,' he said. 'People are terrified that if they're open about what happens, they will be removed from the register, they might get fired by their hospital, and it'll be bad for the reputation of their unit and their trust. Speaking as he delivered a keynote speech at the World Patient Safety Summit in London, Mr Hunt said the research on medication errors show it is 'a far bigger problem than generally recognised' and causing 'totally preventable' harm and deaths. Researchers from the Universities of York, Manchester and Sheffield estimate about 237 million medication errors are made in England annually. These can occur at any point a patient comes into contact with a drug, from prescribing, dispensing, administering to monitoring, and are defined as preventable errors which may cause inappropriate medication use or patient harm. Planned changes include introducing electronic prescribing systems in more NHS hospitals this year, which could reduce errors by 50%. Pharmacists will also be given new defences if they make accidental errors, rather than being prosecuted, to ensure the NHS learns from mistakes and 'builds a culture of openness and transparency'. Responding to the minister's speech, RCN general secretary Janet Davies said: 'Short staffing and severe financial pressures create an environment where it's easier to make mistakes.